So, I thought I would show you all the map of Pumkingdom. I have explored it all, but not the rest of the world. I am a little scared to go further because I worry I will never find my house again. I am yet to create a map of the rest of the world it is my next plan! I will also take a photo of my house to post here. My house is where the white marker is, in the little cove. 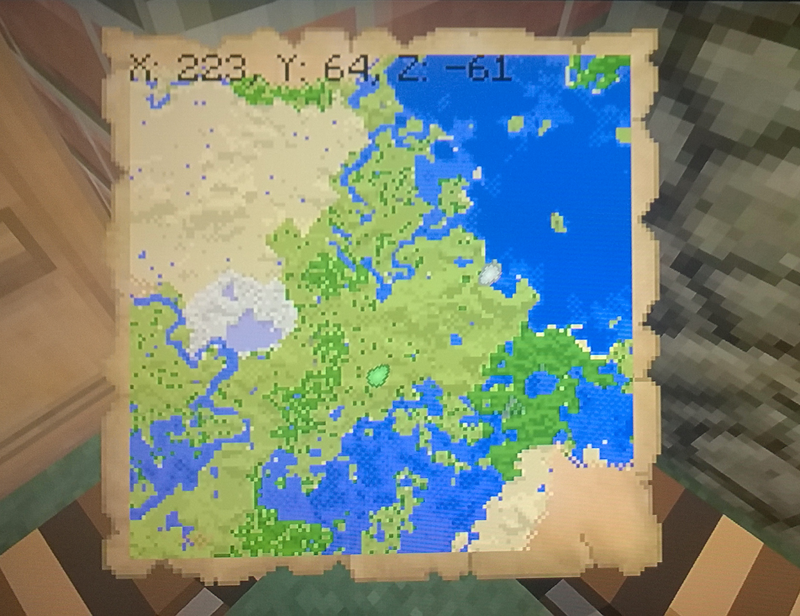 I have a floating farm on that part of the water, which needs expanding actually! Guess that is part two.